During the inauguration of MeerLICHT (25 May 2018 - Africa Day 2018) four first light images of MeerLICHT were released including images of the Small and Large Magellanic Clouds, a star-studded image of the Milky Way, and a image of the centre of the Fornax galaxy cluster. The images are available for viewing and downloading here (click on the preview image to see the full image). Our Milky Way Galaxy, seen in its full glory in the Southern Skies, is home to around 400 billion stars, highly concentrated towards the Milky Way's central regions. 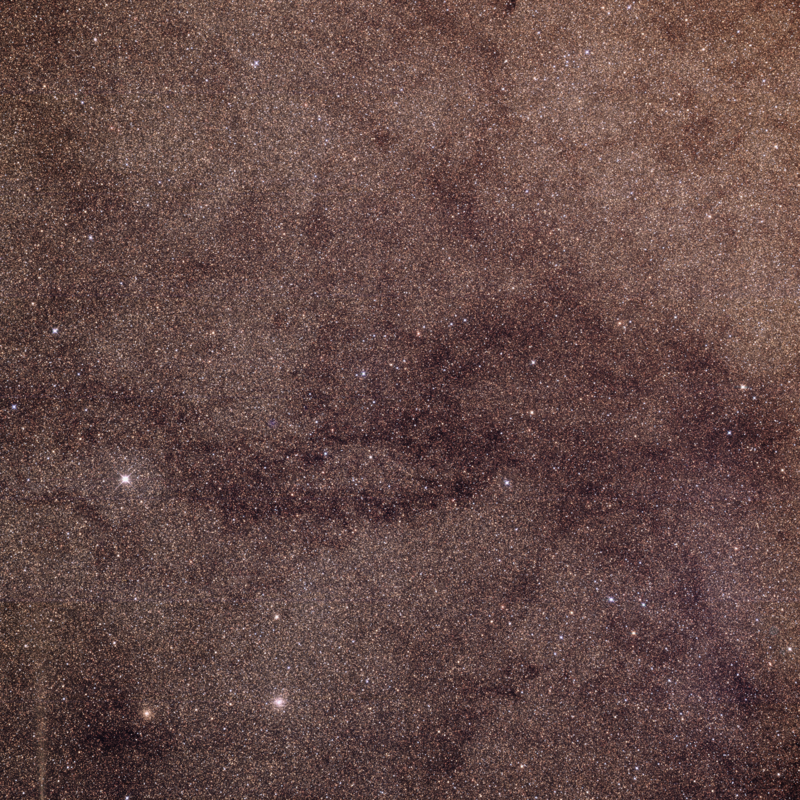 This Galactic Centre and Galactic Bulge region is mostly obscured from view by dense clouds of interstellar gas, except in a few special patches. The multitude of stars in this incredibly packed area gives a glimpse into the dense inner regions of our Milky Way Galaxy. Galaxies are islands of stars in a vast and empty Universe. Galaxies often cluster together, like the Milky Way, the Magellanic Clouds and the Andromeda Nebula. 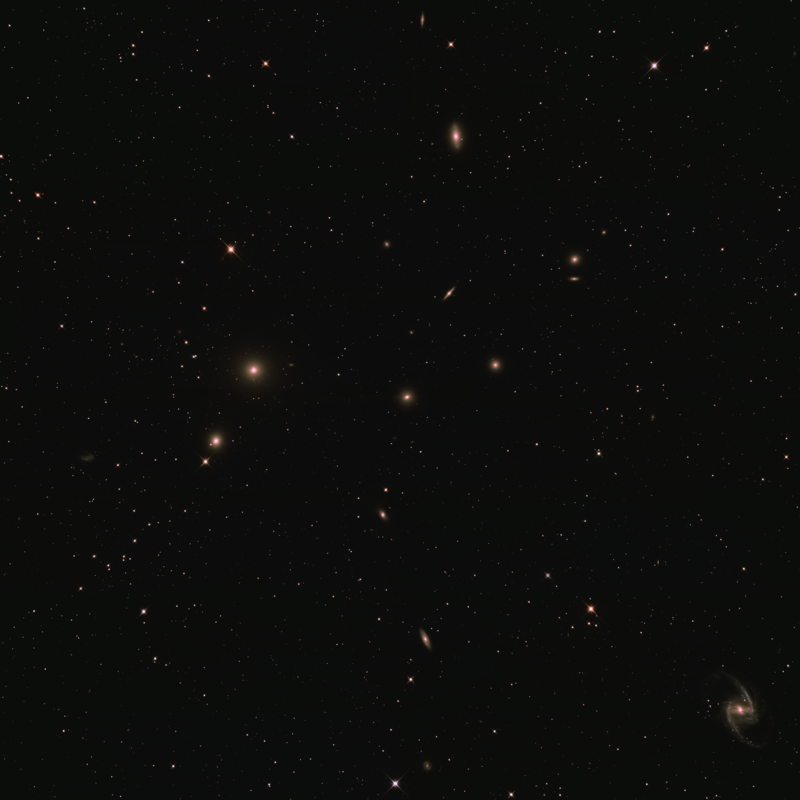 The Fornax cluster, 60 million light years away, is one of the nearest clusters of galaxies, and dominates the mass distribution in the Local Universe. Grand design spiral galaxies mix with enormous elliptical galaxies to form a mega-complex of stellar metropoles. 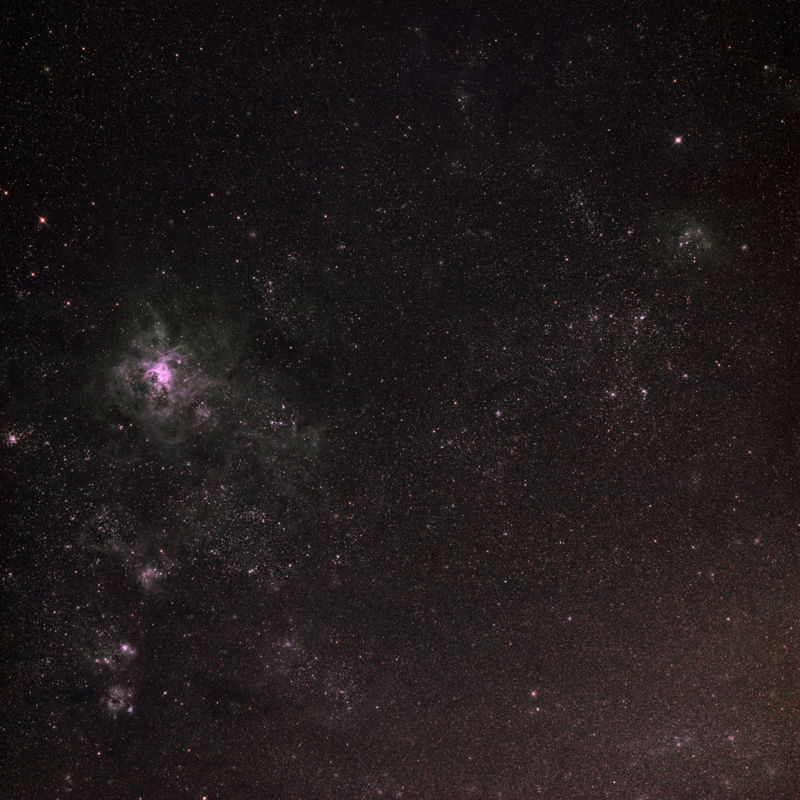 An iconic emblem of the Southern Skies, the Large Magellanic Cloud is a dwarf galaxy 160 000 light years away. It accompanies our own, much larger, Milky Way Galaxy. The Large Magellanic Cloud is well known for the prodigious rate at which it is currently forming stars, among others in the region as shown here, known as the 'Tarantula Nebula'. The swirling tendrils of gas in the neighbourhood of newly born stars light up in the reddish colour specific to the element of hydrogen. 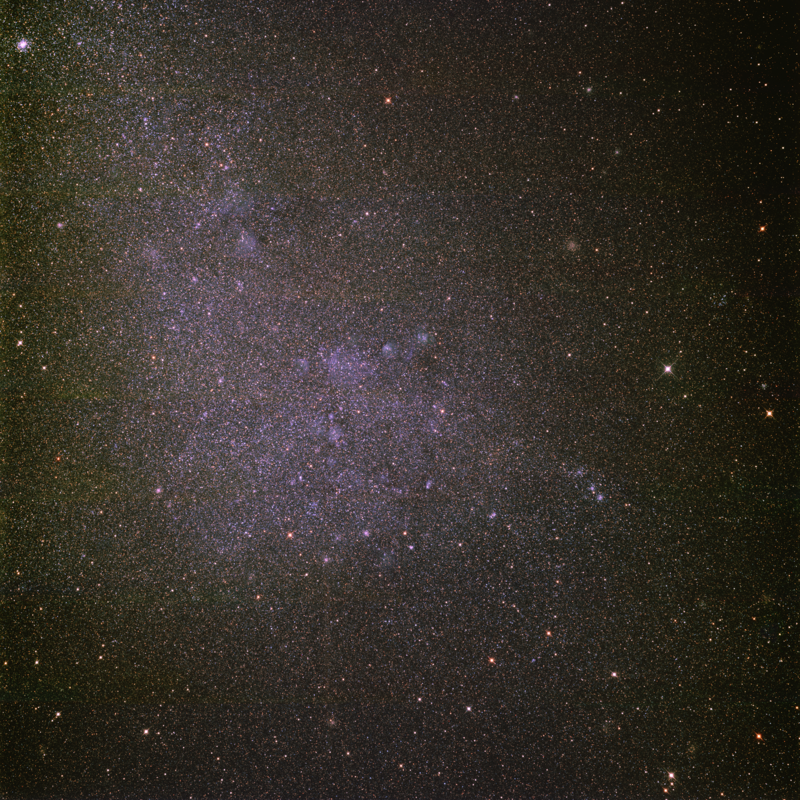 The Small Magellanic Cloud appears in the Southern Skies as the little brother of the Large Magellanic Cloud, but looks can be deceiving! In reality it is a dwarf galaxy shaped like a cigar that we see almost 'tip-on': its depth on the sky is much larger than the cross-cut seen from Earth. Known for its population of X-ray emitting massive stellar binaries, it is a cosmic tinder box ready to blow.